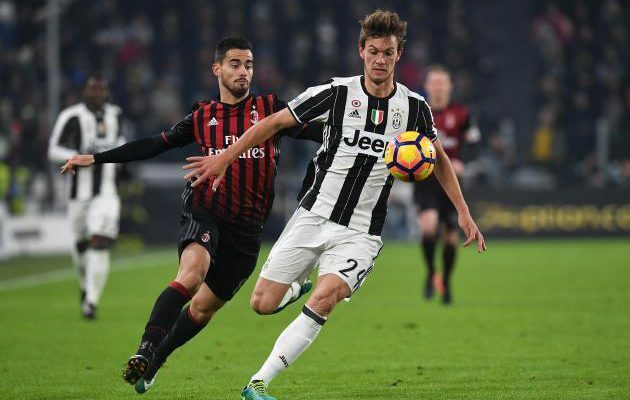 Chelsea proposed move for Juventus Daniele Rugani might hit a dead-end as Juventus and AC Milan strikes a deal. Rugani that was almost seen in Stamford Bridge after Chelsea offered a deal worth €55million will have to stay back as Juventus are likely to make an agreement with AC Milan. The agreement which involves seeing to Leonardo Bonucci returning to Turin in exchange for Mattia Caldara joining AC Milan and Gonzalo Higuain making his way to San Siro on a supposed loan deal. Reports from Italian broadcaster Sport Mediaset lead us to know that Juventus may possibly truncate Chelsea’s proposed deal of getting the 24-year old defender signed once the Juventus and AC Milan’s deal succeeds. Following the arrival of Bonucci, Juventus are unlikely to agree to an exit of a defender after Caldara leaves the Rossoneris. Meanwhile, the two club’s agreement is already in place involving the individual players’ agents and the details of the deal are being finalized. Although, Rugani was listed as one of Maurizio Sarri’s top choice player as he need a player that possess strength in the defence area in order to boost his trophy chances in the new season. Until a deal is signed, Chelsea still remains in the race for Rugani and it is hoped the Blues lands a deal.